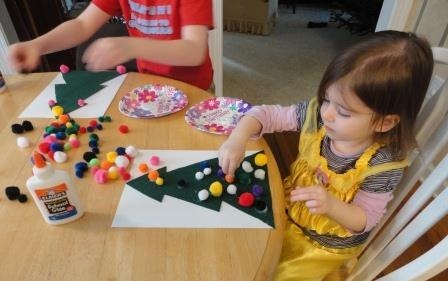 Felt Christmas Trees are a great craft for even the littles. 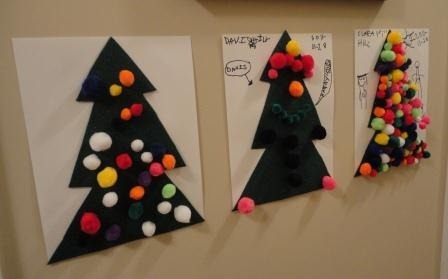 If you don’t have the felt at home, you can fudge and just use a piece of green construction paper. If you are interested in using the felt, I purchased 9 x 11” sheets of the stiffened green felt at Michael’s. One side is a regular green and the other side is a beautiful green glitter. My kiddos loved the glittery side and if you can find a place to purchase them, they are worth the smiles. 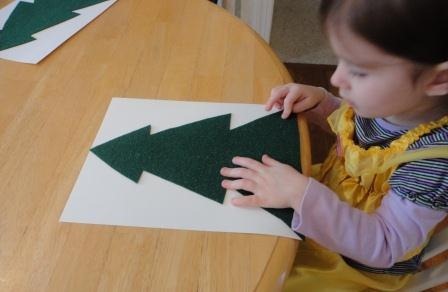 First, cut a Christmas Tree shape out of your stiffened felt. It doesn’t have to be perfect (as you can see – mine aren’t!). 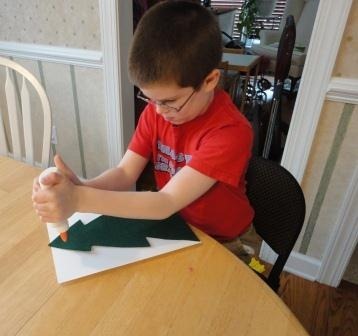 Then glue the piece of felt to the cardstock for extra durability. 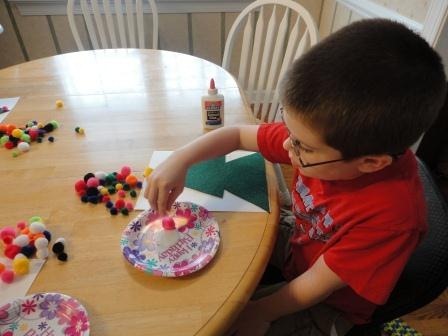 Next, pour a few tablespoons of white glue onto a paper plate. 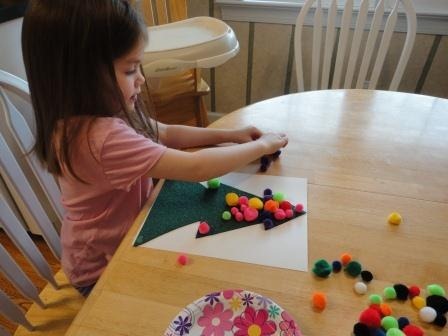 Now dip each pom pom into the glue and decorate your Christmas Tree! Be creative! Use any design, any colors, and any style you can dream up. 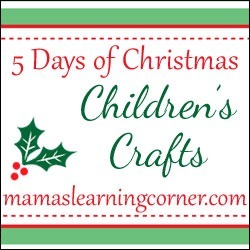 Be sure to visit the other bloggers participating in 5 Days of Christmas. There have so many great Christmas-y ideas! Mama’s Learning Corner is your one-stop worksheet spot for the Pre-K to 2nd grade crowd. Don’t miss Mama’s new content that is added several times each week. Subscribe to Mama’s email to get updates in your inbox.